Is Uber Weed in Our Future? Whether it be recreational or medicinal, marijuana is becoming more accessible and its use is growing in popularity. The THC and CBD compounds of marijuana are being added into a lot of edibles. Candy, baked goods, coffee and now beer (yes, it’s a thing) are just a few of the innovative ways the cannabis industry and consumers have incorporated the substance into everyday consumables. While the creativity is impressive, is adding THC and/or CBD to edible items posing a bigger risk than we think? On October 17, 2018, recreational marijuana was officially legalized in Canada. Demand was so high it left dispensaries in short supply, making headlines around the globe. Currently, marijuana is legal in more than 30 states in the U.S., with Utah and Missouri being the most recent states to legalize it. Dispensaries in areas where marijuana is legal, are beginning to offer delivery services, expanding their reach and increasing customers. Black Bird Go is just one example of a marijuana delivery service already in place, but what’s to stop a company like Uber or Lyft in expanding its services? It’s not unfathomable to think Uber Weed could be the next major development in the industry, especially when combined with their current food delivery service, Uber Eats. 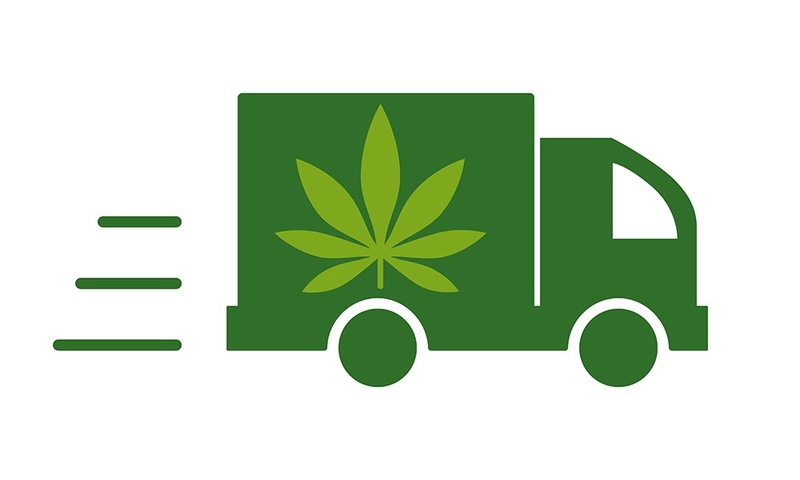 One thing’s for sure, if delivery services continue to expand, marijuana will be just as easy to get as your standard 2-ply. For those who’d rather go out, sightings of cannabis food trucks are also becoming more common. Let’s face it, marijuana is no longer a trend. The reality is, more individuals are making it a staple in their homes and including it in their everyday lives. The shift in how marijuana is perceived has significantly changed, but it’s still important for consumers to understand there is a responsibility in possessing it. Over the last ten years, reports of accidental ingestion of marijuana products have increased. A study published by The Journal of Pediatrics concludes, “unintentional cannabis ingestion by children is a serious public health concern.” Another study published in Pediatrics comments on the increasing number of consumers as one of the obvious reasons for accidental ingestion in toddlers. While evidence from these studies shows this is a problem among children, it is also becoming a concerning matter in adults. Candy-like edibles, and baked goods specifically made to remove the taste of marijuana, are making it so even people who typically can detect marijuana are unable to tell the difference between normal consumables and consumables made with cannabis. Although there are packaging requirements, they vary from state-to-state and it isn’t a guarantee they will be enough to alert unsuspecting individuals. Earlier this year, the American Academy of Neurology published a study where it was believed patients were having a stroke but the symptoms were actually the effects of accidentally ingesting marijuana. While marijuana has been legalized in several states, it is still federally illegal. The Drug Enforcement Agency (DEA) classifies marijuana as a Schedule I drug. This means it is not recognized for any medical purposes and is a high-risk for abuse. Those who are drug tested under a federally regulated program are not permitted to consume or ingest marijuana products, regardless of the reason. As marijuana becomes more readily available and socially acceptable, it becomes a burden for those who do not and cannot participate. What happens if a pilot or aviation maintenance technician (AMT) accidentally ingests an edible prior to flight or performing safety-sensitive work? They will be held responsible for their actions and penalized, potentially losing their jobs or their career. For better or worse, society’s views on marijuana are changing and it’s everyone’s responsibility to take the extra step in staying aware and up-to-date. Ways to prevent accidental ingestion include: reading packages and knowing what the marijuana symbols are, asking about the ingredients, and urging those who consume marijuana to secure marijuana-laced edibles and related products in a locked cabinet. Ensure you know what you’re consuming before you do. Especially in this case, ignorance is not bliss.